22 cm 192 p. : ill. This edition of Romeo and Juliet includes illustrations, preliminary notes, reading lists (including websites) and classroom notes. 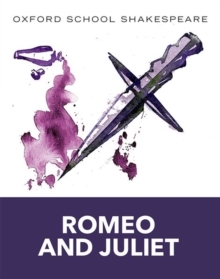 Romeo and Juliet is a set text for KS3 in England, and remains one of the most populartexts for study by secondary students the world over. This title is suitable for all exam boards and for the most recent GCSE specifications.